You can earn stable returns while supporting the UK economy. Capital at risk. Your actual return may be higher or lower. Tax rules depend on your circumstances and may change. Not covered by the Financial Services Compensation Scheme. Individual Savings Accounts (ISAs) are accounts for saving and investments that let you earn tax-free returns2. The Funding Circle ISA is an Innovative Finance ISA. It allows you to earn tax-free interest by lending to British businesses. You can earn attractive returns without the volatility that can occur when investing in shares or equities. This tax year you have a subscription of £20,000 which can be split between a Cash ISA, Stocks & Shares ISA, Lifetime ISA, and Innovative Finance ISA. Your tax-free entitlement depends on your circumstances and may change. To help you get the return you’re looking for, you can choose between two lending options. You can switch options at any time by logging in online. Whichever lending option you choose, you'll automatically lend your funds to relevant businesses. We'll also collect and reinvest your monthly repayments. The Funding Circle ISA works just like our Classic account. 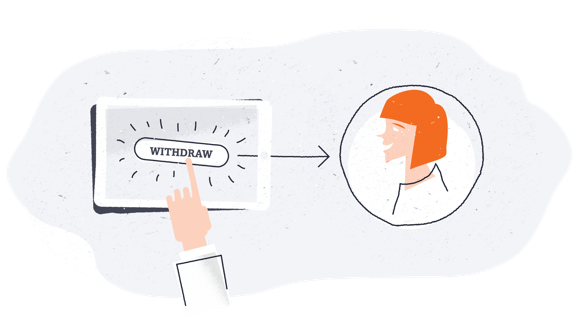 With an easy-to-use online account, automatic tools and fantastic investor support, earning attractive and stable returns is quick and simple. Call or email our experienced team and they can answer any questions you have. You can only open one Innovative Finance ISA in any tax year. There is a subscription limit of £20,000 this tax year, which you can split across all types of ISA. Earn even more by transferring your balance from other ISA providers. Simply login to your account to print an ISA transfer form. Read more here. To help you build a well diversified portfolio for a more stable return, we suggest lending £2,000 or more. If you’d like to start with less, the minimum initial transfer is £1,000. Watch how peer-to-peer lending works, and see how your lending can help businesses throughout the UK. If you want to transfer your ISA to another provider, you must sell your loans first and transfer the cash raised. Any loans that cannot be sold may no longer be eligible for tax-free interest. Please read our FAQs for more detail. The Funding Circle ISA is a flexi ISA. Under ISA rules you can take your money out of your ISA account and put it back later in the same tax year, without losing your tax-free entitlement. You cannot transfer funds directly from a Classic account to an ISA account. You must first sell your loans, then transfer the money raised into your ISA account. You can earn even more by transferring your balance from other ISA providers. Simply login to your account to print an ISA transfer form. Read more here. In the unlikely event that Funding Circle goes out of business, you would continue to receive repayments for your loans and our back-up service provider would administer the ISA for you. Only established businesses who have passed our rigorous credit assessment process can borrow through Funding Circle. However, it’s important to remember that some businesses will not be able to fully repay their loan. We call this a bad debt, and it’s already accounted for in your projected return. Diversification is the best way to manage risk. This simply means spreading your lending across hundreds of businesses, lending small amounts to each one. To help you build a well diversified portfolio for a more stable return, we suggest lending £2,000 or more. If you’d like to start with less, the minimum initial transfer is £1,000.